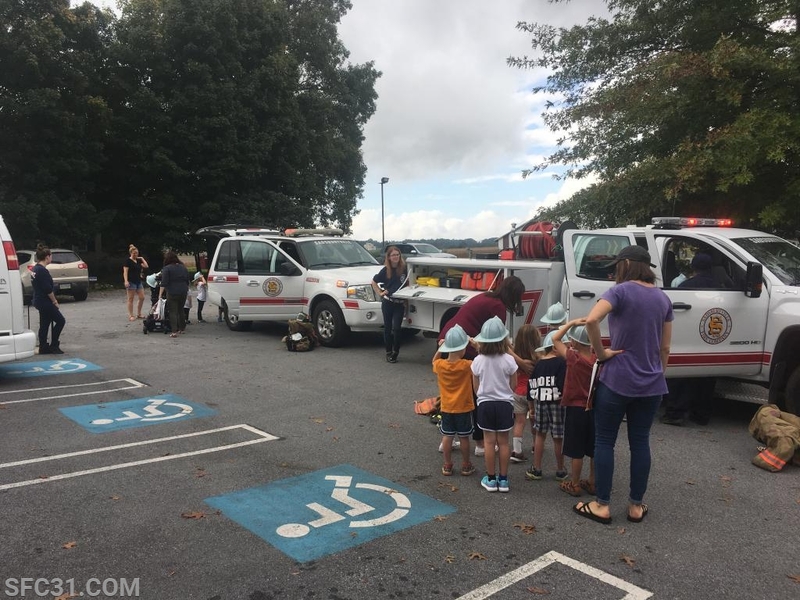 Annually fire prevention week occurs the second week of October and promotes education of fire safety and prevention. 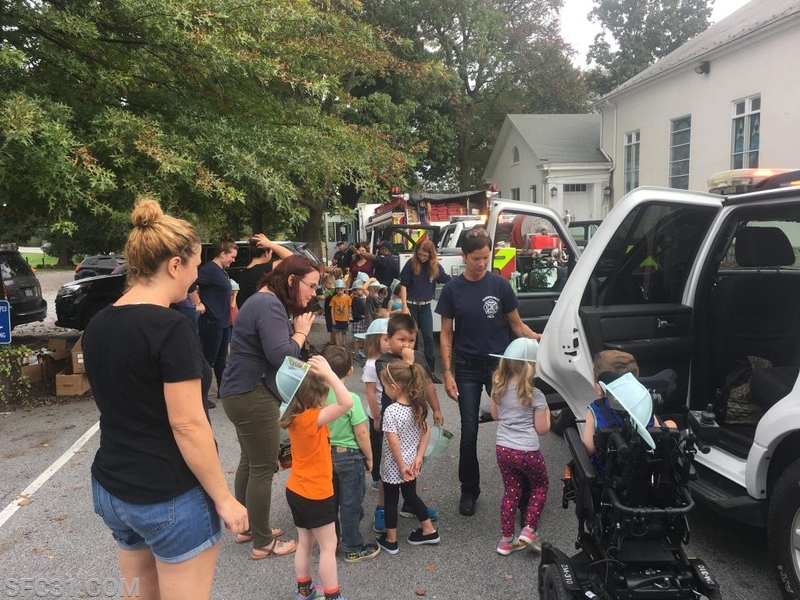 Together fire companies make a difference in the lives of many children and families and give them life lessons about fire prevention. 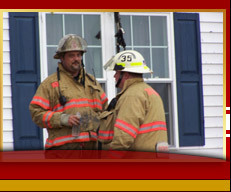 Through three simple calls-to-action, this year’s theme identifies basic but essential ways people can reduce their risk to fire and be prepared in the event of one; look for places fire can start, listen for the sound of the smoke alarm, and learn two ways out of each room. 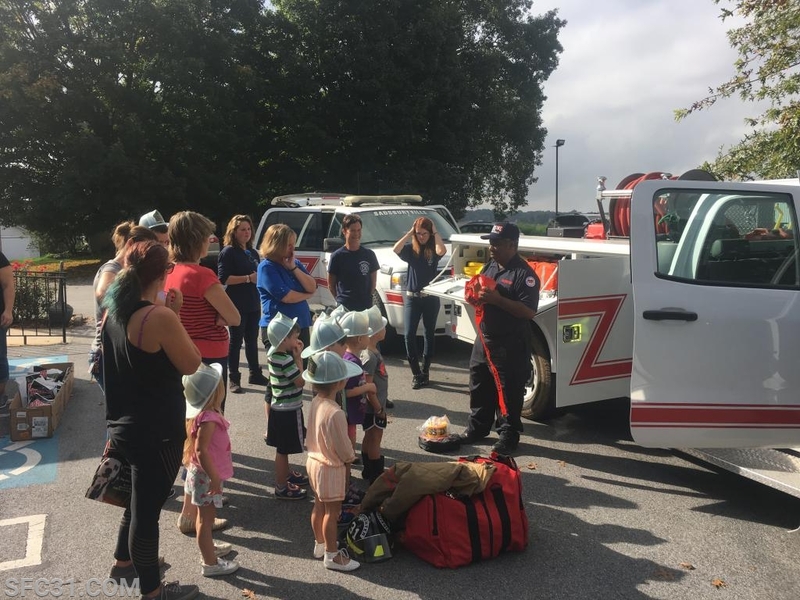 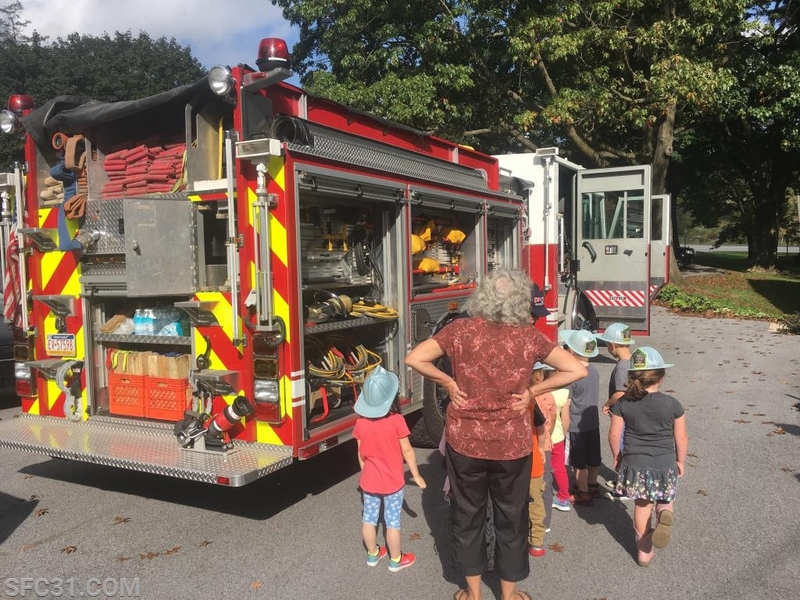 Sadsburyville volunteers spent the week at local pre-schools in Sadsbury Township promoting fire safety and prevention. 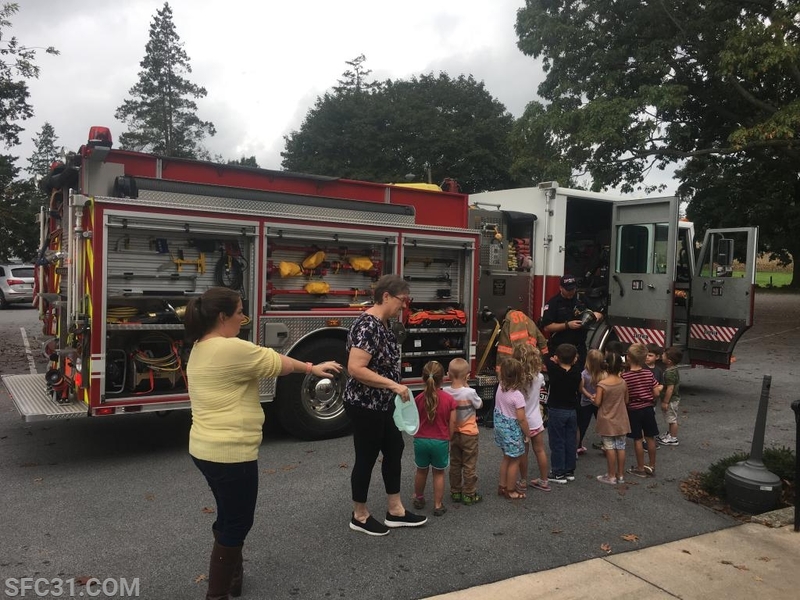 Fire prevention education at the Upper Octorara Presbyterian Church.